Tastings.com Launches One-of-a-Kind Quality Control Program for beer and spirits. The beer and spirits industry will recognize the importance of The Beverage Testing Institute’s newest service offering, their private quality control program. Bypassing the industry’s current hurdles, breweries and distilleries formerly limited by size, structure and budget can now affordably outsource their quality control program to BTI. “In today’s ever-changing beerscape the only constant is the need for quality product. A focused, continual quality control program remains the best tool at a brewer’s disposal in ensuring this end” says Marty Scott of Revolution Brewing. As creatures of habit, beer drinkers demand their beer taste exactly the same every time. Consistency is one of the key pillars of a successful brand, yet maintaining this consistency is no small task. There are many challenges in organizing and conducting in-house panels on a regular basis—scheduling, training, protocols, location and environmental challenges, cellar-blindness and inurement to gradual flavor profile shifts. Now breweries can outsource this process and get an independent third-party cross-check to support their own internal sensory panel results. Especially useful for small to midsize craft breweries and distilleries, BTI puts QC resources and expertise within reach. Breweries and distilleries can consider BTI as their own dedicated QC analysts, available right when they need them and for a fraction of the cost. Since 1981 BTI has been providing sensory-based consulting and reviews for the beverage industry, making them the premiere source for expert organoleptic analysis. They’ve published upwards of 100,000 drinks reviews and provided hundreds of private reviews, analyses and studies. The institute uses a dedicated tasting lab in Chicago that is specially designed to minimize external factors and maximize their expert panelists' concentration. 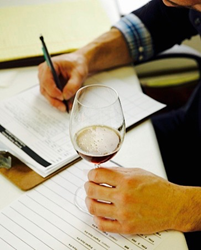 While most craft beverage operations may only have the means to employ one or two sensory experts, BTI has a portfolio of well-vetted, talented sensory analysts working to help brewers and distillers make their beers and spirits the best they can be. Their proprietary methodology utilizes state-of-the-art flavor profiling software to flag flaws, anomalies and flavor drifts. BTI is also known for their ability to design and develop custom evaluations to meet your needs, like a shelf stability audit or head retention tracking. BTI is the solution to quality control in 2018. The hyper-competitive craft beverage market has long needed a cost-effective QC solution for players of all sizes. The Beverage Testing Institute is proud to be in its fourth decade as the premier independent beverage review organization offering creative and effective solutions for the drinks trade.